About the Book: “The Gateway is open..." These cryptic words wake college student Jess Ballard from a terrifying dream into an even more terrifying reality. Jess' life has never been what anyone would call easy; doing damage control in the wake of your nomadic, alcoholic mother doesn't exactly make for a storybook childhood. But now her world has fallen apart just when it should be coming together: her mother gone—dead under mysterious circumstances; her life uprooted to stay with estranged relatives she’s never met; and there’s something odd about some of the people she’s been meeting at school: They’re dead. Aided by Tia, her neurotic roommate, and Dr. David Pierce, a ghost-hunting professor, Jess must unravel the mystery behind her hauntings. But the closer she gets to the truth, the more danger shadows her every move. An ancient secret, long-buried, is about to claw its way to the surface, and nothing can prepare Jess for one terrifying truth...her encounters with the world of the dead are only just beginning. Spirit Legacy is the first of three thrilling novels in "The Gateway Trilogy" by E.E. Holmes. 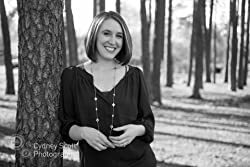 About the Author: Be the first to find out about new releases by signing up here! E.E. Holmes is the internationally best-selling author of the paranormal series, "The Gateway Trilogy". 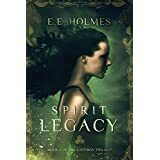 Her novel "Spirit Legacy (The Gateway Trilogy Book 1)", was named a first place category winner in both the Paranormal Awards and the Dante Rossetti Awards for Young Adult Fiction by Chanticleer Book Reviews and Media, and received a National Category Silver Medal in the 2015 IPPY Awards. 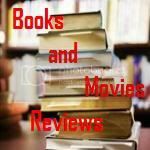 My Review: This is a very intense book, very well written, with a rich plot and characters very well developed. Jessica Ballard is not a normal teenager. After the death of her mother, he ended up living with her aunt for a few weeks during the process of moving into college. When in college, strange things start to happen and she asks for a professor (Dr. Pierce) that teaches paranormal classes to help her understanding what is going on. Her roommate Tia is wonderful. I simply love her. Always there to support Jess and to help however she can. Jess sees and interacts with dead people. But soon things get out of control and the only person who can explain what is going on is her aunt, twin sister of her mother. And then, many family secrets come to the surface and Jess needs to get ready to embrace her destiny. I loved everything about this story. The writing style is wonderful, very well revised and edited, plot flows smoothly and there is plenty of action that makes you read the book in one weekend, at the edge of your chair. I really recommend this book to the permanent library of any reader that likes action with paranormal activity. I can hardly wait until I put my hands on the second book (Spirit Prophecy) of this trilogy (The Gateway Trilogy).